Learn how to use the Oil Cleansing Method as part of your daily skincare regimen. Replace your face soap with healthy, plant-based oils. Get glowing skin by following this Oil Cleansing Method tutorial. The Oil Cleansing Method (OCM) is the newest trend for deep-cleaning your face naturally, without harsh cleansers. Ironically, it’s also one of the oldest, time-honored traditions for keeping your face supple and fresh-looking. Remember Oil of Olay cold cream? You get the picture. OCM is an updated skincare technique that helps to reduce signs of aging, remove toxins, and relieve skin conditions such as eczema, dryness, acne and blackheads. And the best part? You’re using inexpensive natural ingredients that are probably already in your kitchen. Let’s get started! You want me to put WHAT on my face? If you suffer from oily skin and pimples, then oil is probably the last thing you want to rub on your face. But science tells us that “like dissolves like.” So, to unclog blackheads most effectively, you need to apply an emollient that draws trapped grease and dirt away from the surface of your skin. It’s simple chemistry! Natural oils remove emulsified oils, toxins, leftover makeup, and other nastiness without disturbing your pH balance. Choose your oils. Steer away from petroleum-based lubricants such as Vaseline. Instead, use natural, plant-based oils that give a vitamin boost and are gentler on your skin. To prevent aging, mix 10% castor oil, 10% high linoleic sunflower oil, 40% evening primrose oil, and 40% rosehip seed oil. Get a clean washcloth and a towel. Wet your face with warm water and pour about a half-teaspoon of oils into the palms of your hands. Rub your face gently in circular motions, concentrating on sensitive skin zones. The warmth of your hands will help to penetrate the oil’s healing qualities and open your pores. Continue for about 30 seconds, or as long as two minutes. Now, get your washcloth wet with very hot water- not scalding, just as hot as you can stand. Quickly drape the washcloth over your face and cover with a towel to lock in the warmth. You’re giving your face a steam bath! Carefully walk to a chair or bed and just relax. Allow the hot towel to come to room temperature. Use your washcloth to clean away oily residue and toxins. Do this a few more times, using the dry towel to wipe up at the end. Your skin should feel nice and smooth, but there’s one more important step. Now that you’ve completed the oil cleansing method, your pores are open and free of debris. This is the perfect opportunity to use vitamin and mineral-infused treatments to really boost skin health and also treat deficiencies. Many tailor-made vitamin creams contain essential vitamin B12, D, and E. Look for skin creams containing melatonin, antioxidants and even nutrients that aid the nervous system. Theracalm stress relief cream. Buy Now. 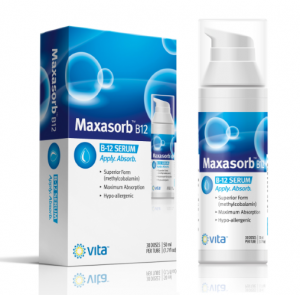 Maxasorb Vitamin B12 Cream. Buy Now. 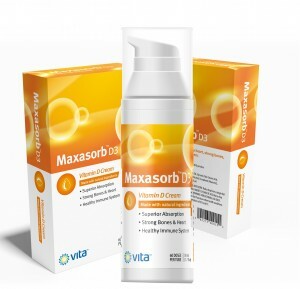 Maxasorb Vitamin D3 Cream. Now with 2000IU! Buy Now. Topical Vitamin B12- Great for your Skin! Is dry, itchy eczema the bane of your existence? Many dermatologists advise topical vitamin B12 cream as a helpful supplement for painful swelling and inflammation caused by dermatitis, thanks to powerful nitric oxide-inhibiting agents found in vitamin B12 serums. There have been many scientific reports testifying to the benefits of using topically applied vitamin B12 creams for treatment of dermatitis (eczema) in child and adult patients. In a placebo-based trial, scientists noticed positive results when vitamin B12 cream was applied to treat painful skin lesions and red scaly patches that occur with chronic eczema. In the study, patients who have been suffering severe eczema for two years or longer were given two creams to apply to affected areas- one containing vitamin B12, and another a placebo. None of the patients was able to distinguish between the two ointments, and was told to place one cream on one side of the body, and another on the other side. Several weeks later, by the end of the study, the majority of eczema sufferers rated the vitamin B12 lotion as extremely therapeutic in alleviating pain, itching, and dry skin, while about half of the participants studied reported minimal improvement from the placebo cream. Researchers ascribe vitamin B12 for its ability to reduce nitric oxide (NO) as the underlying factor behind its efficacy in relieving symptoms of eczema- redness, swelling, burning, itching, and dry skin. Furthermore, the vitamin B12 topical cream provided no allergic reactions in any of the patients, making it a safe, gentle choice for treating dermatitis without any side effects. It has been used to treat babies, children, teens and adults with great results. Conversely, some prescriptions used to alleviate eczema, such as steroids, have harmful side effects, including increased risk for skin cancer and hormonal imbalances leading to infertility. 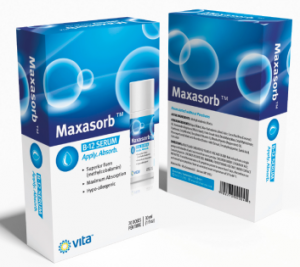 Maxasorb Vitamin B12 Cream is safe, gentle, effective, and hypo-allergenic. Highly absorbent vitamin B12 helps dry skin and inflammation by penetrating deep into your skin and reducing nitric oxide linked with chronic dermatitis. Get it for $24.95 $19.95!